We offer a bespoke branding service. Gifts of Distinction can brand your chosen products using a variety of methods. 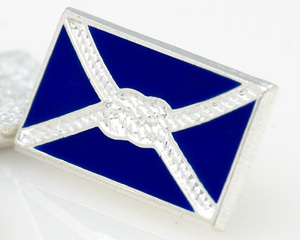 An example of a high quality UK manufactured hand made lapel pin. Produced here in Birmingham using Die making, stamping, hand polishing and enameling - any design available - any shape - made to your specifications. 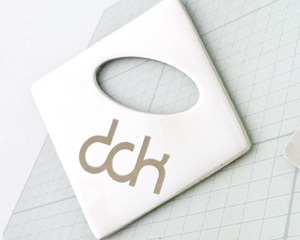 In house branding allows us to have inexpensive tooling and quick turnaround - we hold stock of this magnetic bottle opener. 18ct gold hand made occasional lapel Pin. The badge was cut out by hand and etched with the coat of arms. 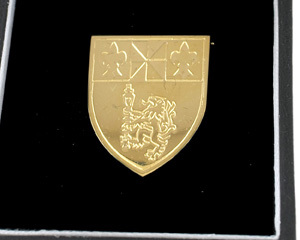 Each gold lapel pin was assembled by hand and hallmarked to indicate its provinance. Hand polished to a pristine high quality finish. We use craftsmen to solder the pin by hand and supply the badge packed and ready to present. 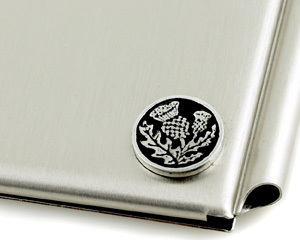 We can take your artwork and created a three dimensional badge in pewter to mount on literally any product. Simple effective branding.